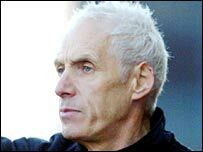 England National Game XI boss Paul Fairclough is looking to launch the next phase of his reign in charge with victory over Northern Ireland on Tuesday. The friendly at Glenavon FC will be England's first game since Fairclough was reappointed by the FA on a new three-year deal last month. That followed England's victory in the inaugural European Challenge Trophy and tonight Fairclough starts his planning for the summer's 'home international' series in Scotland. He told BBC Sport: "It's a first for this team, which has never played Northern Ireland before. "And it's an important game for me and the squad to experiment with one or two things in the run-up to the Four Nations championship in the summer. "There are no points or trophies at stake but we are on a fantastic unbeaten run with this team and we want to keep that going. "We can use this opportunity to look at a few different players and shapes to keep moving forward." Fairclough, who combines his England role with his job as manager of League Two side Barnet, has named half a dozen new faces in his squad to face a side made up of young players from the Irish League. Transfer window moves for the Dagenham & Redbridge pair of Craig Mackail-Smith and Shane Blackett and Weymouth goalkeeper Arran Lee-Barrett ruled them out and continued a trend of the best players from the Conference progressing to League football. York City striker Clayton Donaldson will follow in the summer when he moves to Hibernian but he could win his final cap alongside Dagenham's Paul Benson. Benson's reward for his 20 Conference goals this season has been a first international call-up, with Fairclough not restricted to the Under-23 age group used for European competition. "He has had a phenomenal rise from playing parks football this time two years ago and this is a recognition of that," Fairclough added. "There is no age limit in this side and there are physically stronger and more mature players out there. "But we have gone with young players to give them a leg up in their careers and we have a good squad." England's non-league side is unbeaten in 11 games under Fairclough and the former Stevenage boss was delighted to get the chance to extend that run following his reappointment. "Who wouldn't be proud of playing a part in representing your country? It was a proud moment for me," he said. "This the start of a new stint for me and I hope we can continue to take the team forward." All England's players came through Saturday's Conference programme unscathed with the only change to Fairclough's original squad being Stevenage defender Barry Fuller's call-up as a replacement for injured Morecambe full-back Adam Yates. England squad: Danny Alcock (Stafford), Martin Rice (Exeter), Barry Fuller (Stevenage), Adam Quinn (Halifax), Kieran Charnock (Northwich), Scott Griffiths (Dagenham & Redbridge), Ronnie Henry (Stevenage), Michael Carr (Northwich), Les Afful (Forest Green), Craig Stanley (Morecambe), Stacy Long (Gravesend & Northfleet), Guiseppe Sole (Woking), Marcus Kelly (Rushden & Diamonds), Steve Morison (Stevenage), Clayton Donaldson (York), Paul Benson (Dagenham & Redbridge).